You were only supposed to stay for a few days until your foster home was ready for you to join them. We had almost 6 months to share our lives with you. From the first day, it felt like you had always been a part of our family and we were heartbroken to learn that your time with us would be so very short. You brought a smile to everyone that you met and nobody ever believed you were 12! I miss your goofy trot and your barking at the phone when it rang more than twice. You were such a character and our house is much emptier without you. We have all taken your passing with difficulty, but Scout found the most difficulty. He slept on your bed (I couldn’t bring myself to move it until a few days later) for 3 nights. You were his shadow and he loved when you followed him everywhere he went. We all miss you terribly and wish we would have had more time to spend with you. You were such a joy for our family and we hope you enjoyed your time with us as much as we did. 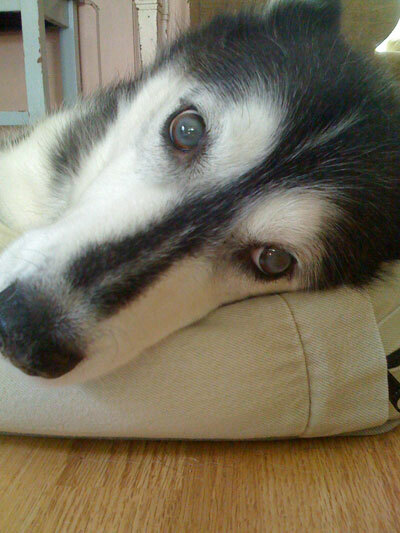 Yukon ~ you will always be in our hearts and we are grateful for the short time we got to spend with you.